On a cold winter day in 1950, four gentlemen gathered at their favorite Waseca barbershop and the discussion turned to “What would be a fun activity in Waseca in the middle of winter?” Out of this gathering, “Sleigh & Cutter” was born. Little did they know how their idea would expand. Our festival fathers would be surprised to see that the one-day event of a parade, queen crowning and dancing, has grown to several days of activities over four weekends in February. The “Waseca Sleigh and Cutter Festival” has truly evolved into a community event attended by people of all ages. 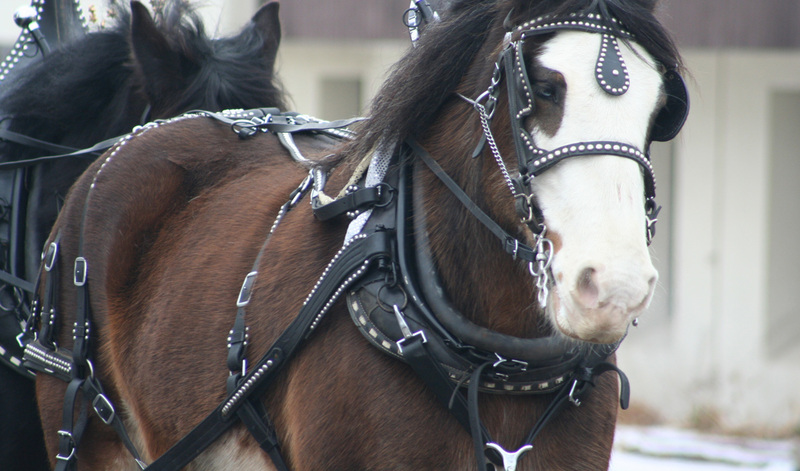 Horse owners from around the area bring their magnificent animals of every breed for the Saturday parade down Waseca’s State Street. Beautiful, sleighs, cutters, bobsleds, and various types of buggies, wagons and riders on horseback can be seen on the parade route. Only animal-powered units are allowed. The festival is much more than a parade. There are many of events that people can attend as participants or spectators. The list of events can be located in the “Event” listing on the left border of this page. Most events are free and many clubs and restaurants offer special meals and entertainment throughout the festival. There are many outdoor and indoor events; some rely on lots of ice or snow while others are not affected by the weather at all. There are many events with “ice” in their name. The Frosty Contest and Medallion Hunt are a testament of the loyalty sponsors have given to the festival. Their continued support has provided hundreds of people an opportunity to use their deductive skills in finding the medallion or unveiling the identity of “Frosty.” Support from area business and individuals help perpetuate this unique winter celebration. The festival could not succeed without their contributions. We send out heartfelt thanks to all sponsors and attendees for participating in the Waseca Sleigh & Cutter Festival! The original organizers in the barbershop might be surprised to see that the Waseca Sleigh & Cutter Festival has expanded to awarding annual student scholarships. The “Children’s Dream Catcher Fund” has been established to assist families with a child with life threatening medical conditions. We are proud to say that our pageant sponsorship has promoted young women to excel to the state level of Miss Minnesota, and the national level of Miss America. DISCLAIMER: The Waseca Sleigh & Cutter Festival Association, Inc. does not assume or accept duty or responsibility for safety at this event in regard to participants or any third parties or for animals or other property thereof.